Mold Inspection. Free Estimates. 24/7 Service. Mold can strike when and where you least expect it, but the worst thing is knowing that your property has a mold problem without being able to find it! That’s where the mold inspection experts at DryAgain Water, Mold and Fire Restoration Services come in. Every member of our mold inspection services team has been educated, trained, and certified by the Institute of Inspection Cleaning and Restoration Certification (IICRC). This certification, combined with the state-of-the-art mold detection equipment and the experience of our long-term staff are what makes DryAgain Water, Mold and Fire Restoration Services California’s premier mold inspection company. Our inspectors are on call 24 hours a day, 7 days a week, and we will even make after-hour and weekend appointments if necessary. Inspections and mold sample collections are generally performed in less than an hour, and our results are guaranteed. 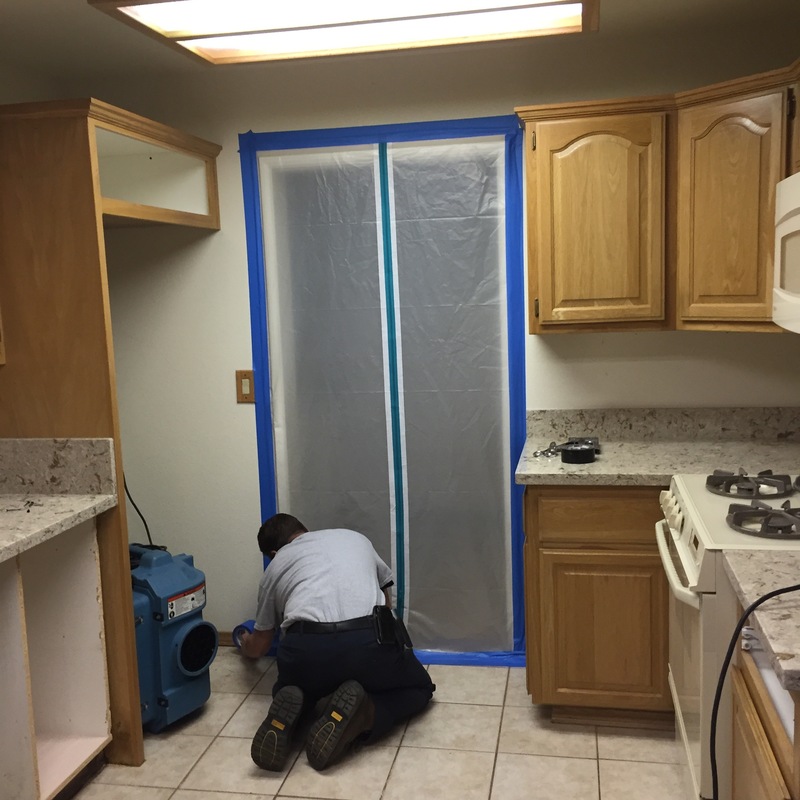 DryAgain Water, Mold and Fire Restoration Services has the mold detection solution you need. Our phone number is , or you can email us at trevor@dryagain.com. Enlisting the help of a professional mold inspection service can have many benefits. Sure, it seems cheaper and easier to try and take care of your mold problem yourself, with over the counter mold removal solutions, but unfortunately mold problems are notoriously hard to get rid of for one simple reason: moisture. You see, mold can’t grow in a dry environment, so if you’ve got a mold problem at your home or business, the chances are that you’re also dealing with a fairly serious water damage problem. Unless the source of the moisture can be located, dried out, and prevented from happening again, your mold problem will become chronic, lowering your property value and endangering the health of anyone who occupies the building. Repeated exposure to high concentrations of mold spores can exacerbate conditions like asthma, and even cause allergies to develop over time. Signs and symptoms of an existing or developing mold allergy may include the following: runny nose, sneezing, coughing, congestion, wheezing, red, watery, or itchy eyes, as well as skin irritation or rash. While mold itself is not poisonous or toxic, some types of mold can produce toxic substances called mycotoxins. Mycotoxins may cause irritation of the skin or airways in sensitive individuals, or even cause a severe reaction. Symptoms of a severe reaction to mold exposure include fever and difficulty breathing. Individuals with chronic lung disease or compromised immune systems may develop serious lung infections. If you or anyone you live or work with is experiencing these symptoms, it’s a good bet that you have a mold problem. To be sure, you should not only contact your primary healthcare provider but also the experts at DryAgain Water, Mold and Fire Restoration Services to come out and do a full evaluation. Not only does DryAgain Water, Mold and Fire Restoration Services provide professional mold inspection services, but if you call our mold detection experts today, DryAgain Water, Mold and Fire Restoration Services will provide one free mold test kit to every caller! Get positive or negative results instantly. Our mold testing kits are meant only for the purpose of determining whether or not you have a serious problem. The free mold testing kit will not be able to tell you how much mold is in the air you breathe, and the kits are not admissible courtroom evidence, but the call is free and so is the testing kit, so what do you have to lose? (One free kit per caller, please). If you find that you have a mold problem at your home or business, DryAgain Water, Mold and Fire Restoration Services can help you with the next step: finding out how much, if anything, your insurance policy covers. Consultations with DryAgain Water, Mold and Fire Restoration Services are always free. So, you’ve called DryAgain Water, Mold and Fire Restoration Services, received and used your mold test kit, and discovered that you definitely have a mold problem on your property—now what? Well, it’s time to bring in professional help. Mold can show up anywhere the moisture and humidity in an area rises above 45%. Homes and apartments in naturally humid climates like California tend to experience more mold problems than residences in dryer climates, but wherever there is moisture, mold will soon follow. Once an area has been affected by raised humidity or water damage, it becomes a prime target for mold spores to move in and make themselves at home. At DryAgain Water, Mold and Fire Restoration Services we can detect the primary location of your mold problem, scouting all affected locations within the property. Not only can the experts at DryAgain Water, Mold and Fire Restoration Services test for and locate mold, but we can help you to remove and eliminate any existing mold before undertaking the crucial final step of locating and neutralizing the source of moisture that has created a mold-friendly environment. The experts at DryAgain Water, Mold and Fire Restoration Services are prepared to work closely both with you and with your insurance coverage provider, ensuring that you receive the best service and the most coverage possible. But regardless of whether your insurance policy covers mold damage, there are measures you can take to prevent mold growth in your home. First and foremost, be aware of your surroundings. Usually by the time mold damage becomes noticeable, it is already too late, but further damage can be prevented through quick action and professional help. Be aware of potential areas of heightened humidity: mold can’t grow where it’s dry! If you suffer from some sort of water damage, make sure that it is properly dried and aired out so that mold doesn’t have a chance to gain a foothold. And, lastly, whenever you are in doubt about your mold situation, the experts at DryAgain Water, Mold and Fire Restoration Services are only a phone call or email away!